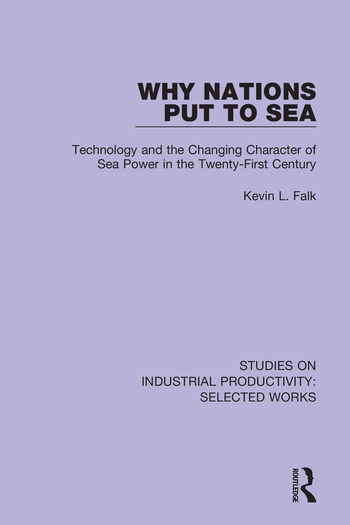 Originally published in 2000, this book describes the relation between technology and the exercise of sea power. It emphasizes the importance of mastering and maintaining technology for the means of exercising maritime power whether the USA is at peace or in a time of conflict. The changing character of maritime power is evaluated through an examination of current trends, historical precedent and deductive logic. Many factors influence sea power, but it is the exponential growth in the use of science and technology which the author believes is the key to understanding the future of sea power.